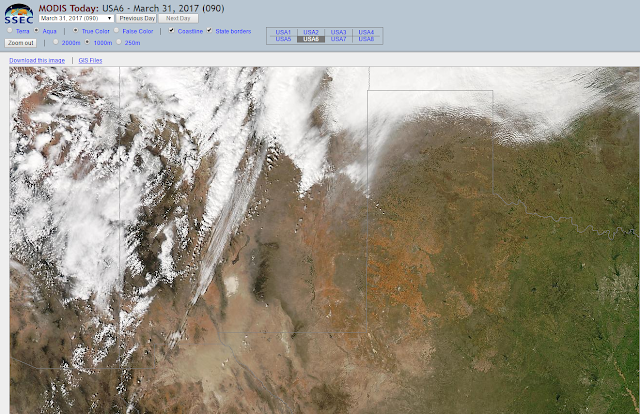 MODIS Visible Satellite Images Today. 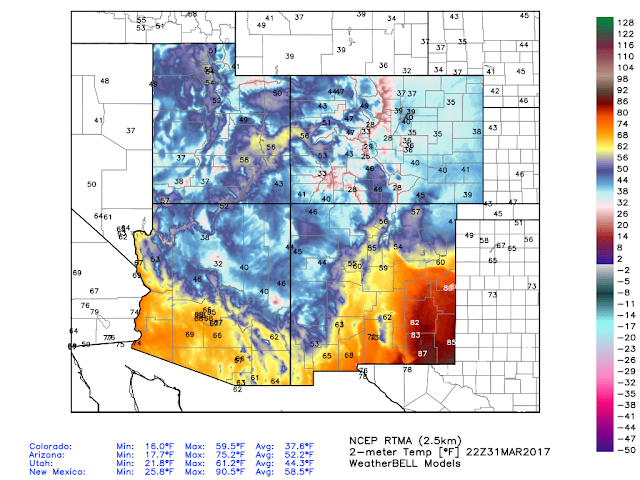 Not again, which is no doubt what many of us in Southern and Southeastern New Mexico, and West Texas, are mumbling under our breath this afternoon. Say what? A dust filled sky which in many a year gone by (in my 58 years of memory) heraldes March in the Desert Southwest. 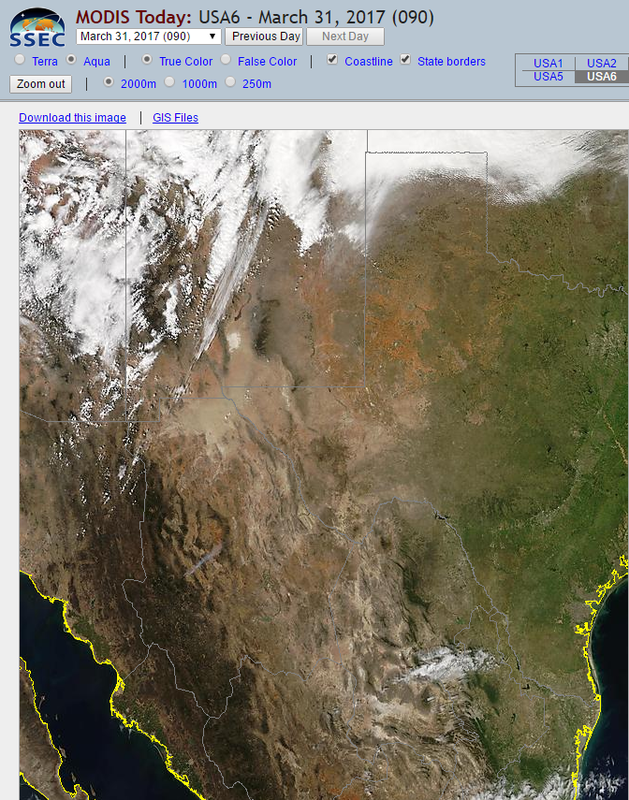 Take a look at the MODIS Visible Satellite Images above...that brown blob showing up is just exactly that, blowing dust and lots of it streaming up from Mexico in the local area. Zoom in on the third image and notice that the dust at the time of this image was just topping the ridge line of the Sacramento Mountains, and was kicking up along the east face of the Guadalupe Mountains. 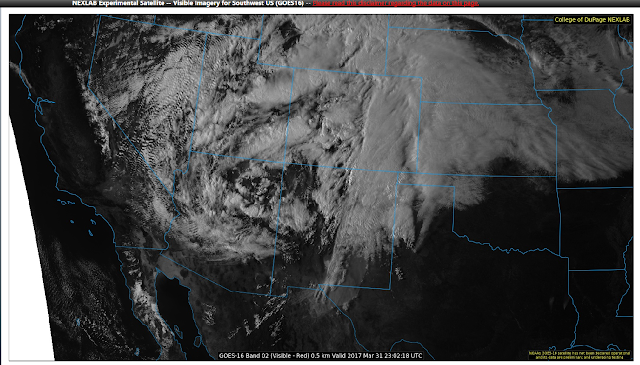 GOES16 Visible Image Confirms This. Snapshot Captured At 5:02 PM MDT This Afternoon. 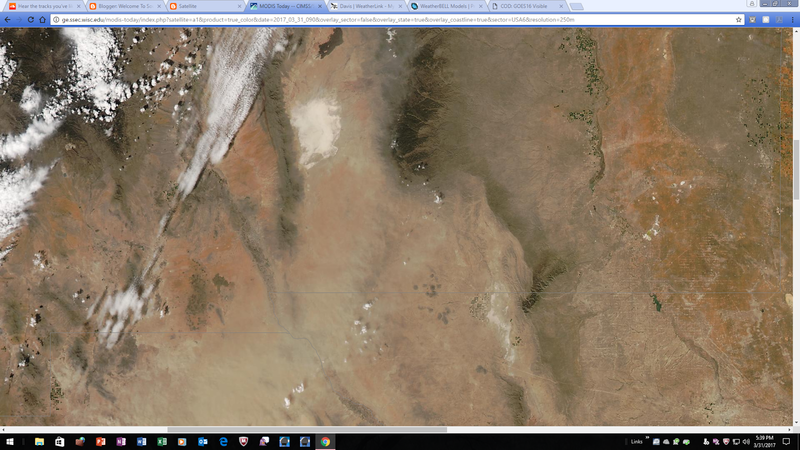 Growing up in the 60's and 70's spring dust storms were a common factor in our lives here in Southeastern New Mexico. Not that they haven't occurred in other years previous and after this time period. But when I was a kid I was mesmerized by this phenomena. 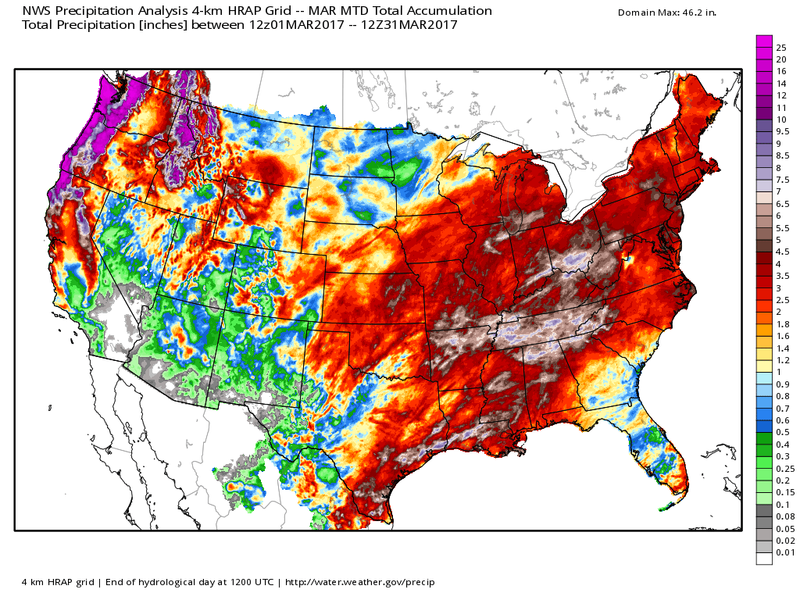 In fact thev've been a part of our local climatology as far as recoded history is concerned and then some. What we didn't realize forty or fitty years ago was that often these dust storms originated in Mexico and overspread the area like the one occurring today. Naturally our local airborne soil erosion contributed to the blotted out sun and multitudes of allergy and sinus issues during and afterwards of these infamous events. Modern day satellite images has thus enlightened us. Visibilities this afternoon have dropped down to the 1-3 mile range across Southern and Southeastern New Mexico in the blowing dust. NWS MesoWest Peak Wind Gusts. 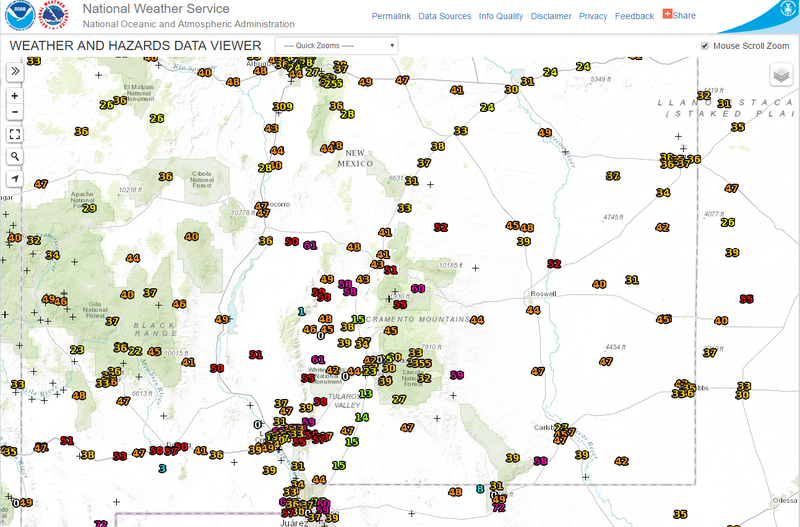 (As Of 5: 30 PM MDT Today). Guadalupe Pass, Texas Peak Wind Gust Reported. (As Of 5:30 PM MDT Today). 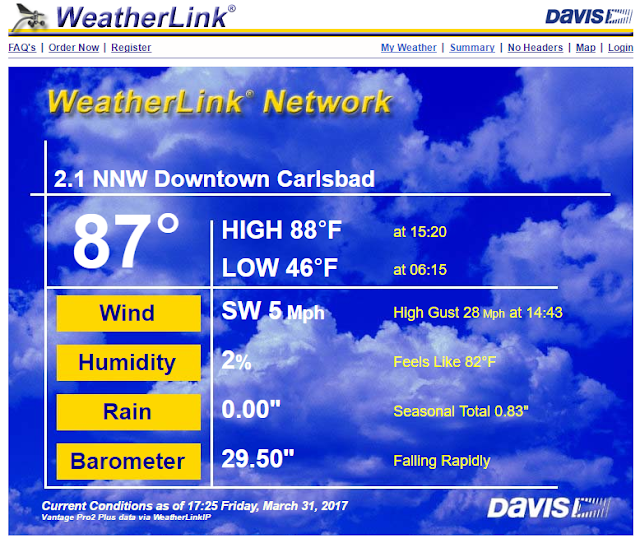 As of 5:30 PM this afternoon the peak wind gust reported in Guadalupe Pass has been 71 knots or 82 mph. Yea that will loft some topsoil and blow some vehicles off of the road. 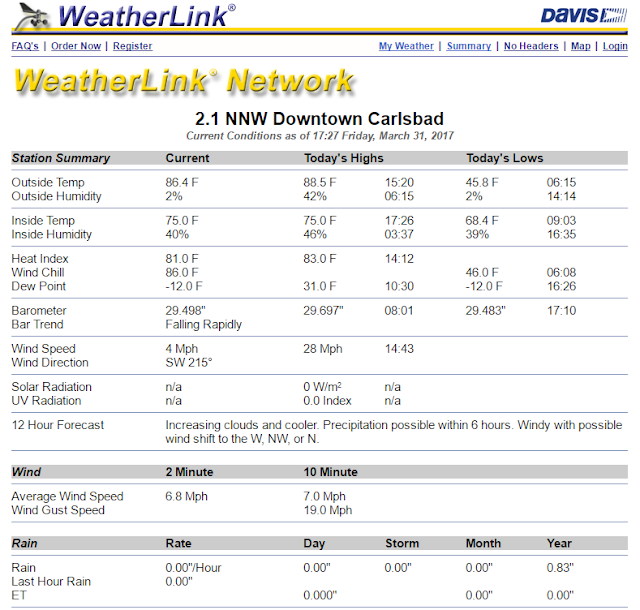 Wow was it ever dry here at our home in Carlsbad at 5:25 PM MDT! 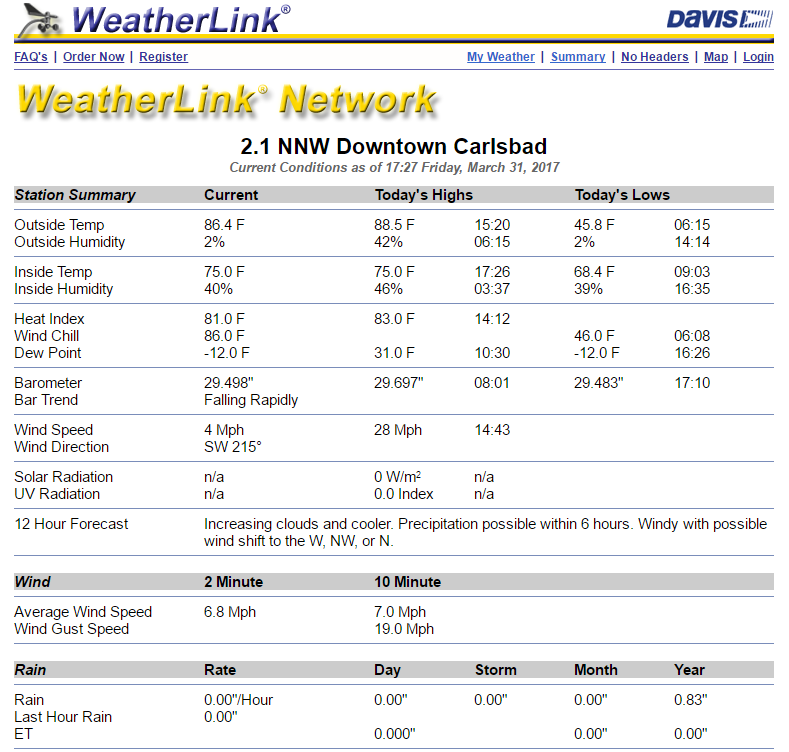 With a temp of 87º and dew point temp of -12º this produced a relative humidity value of just 2%. Combine this with the dust in the air and you have the makings of one nasty afternoon! 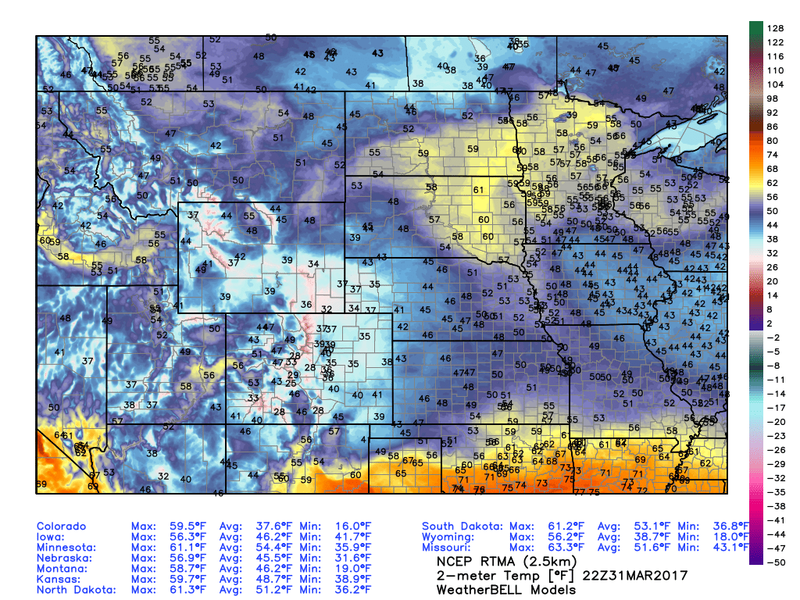 Temperatures At 4 PM MDT. A cold front was just to our west and with its passage shortly our skies will clear of the dust as a more stable and cooler air mass overspreads the area. 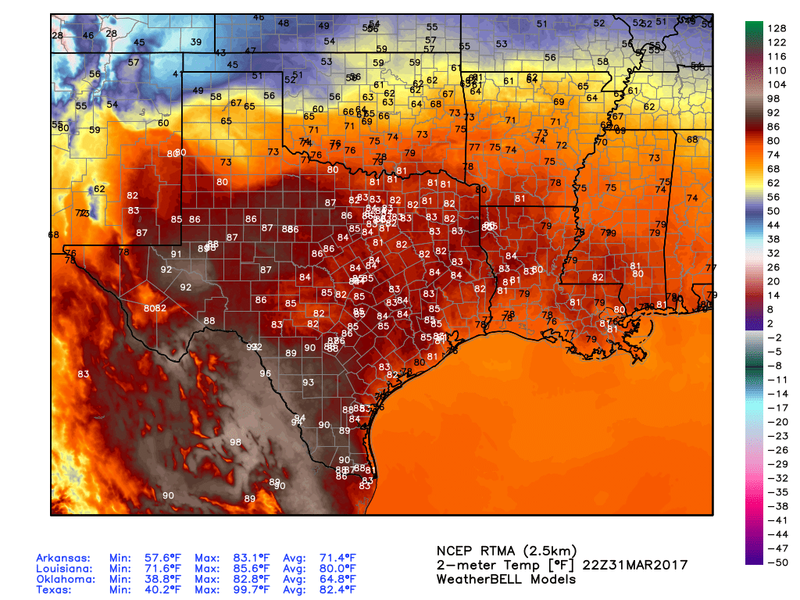 After dropping down into the upper 30's and lower 40's tonight in the Pecos Valley and nearby areas we will see highs tomorrow and Sunday in the 60's and 70's.